I absolutely love Valentine’s Day. I don’t know why it gets a bad rap because even when I was single, I loved V-day!! Growing up my mom always made a fabulous dinner and decorated the table with beautiful flowers, candles and plenty of pink. As a family, we used this day as a time to stop and say what we love most about each person in our family. 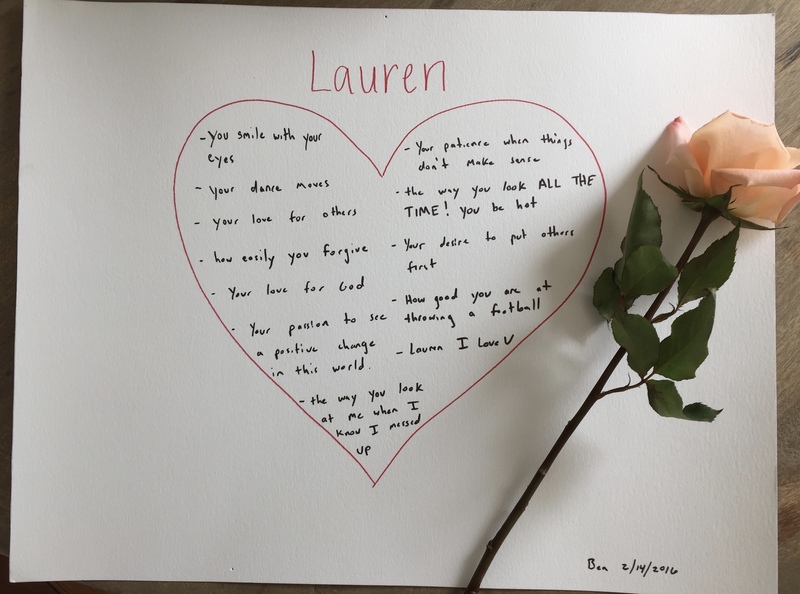 My mom would print out a blank, heart-shaped piece of paper and set it at each persons seat. Before sitting down for our meal, we all had to go around the table and write what we love most about that person on their paper heart. Before digging in to the special meal (usually steak or crab legs) we all were able to read what each family member appreciated about us. Valentine’s Day doesn’t have to be all about romance or known as ‘singles awareness day” but rather a day in which we tell ALL those around us why we love them. To this day I still store away all the paper hearts I’ve gathered throughout the years from my family and reading them back always reminds me that I am loved and encourages me to share with my family and friends what I appreciate most about them. Last year was the first Valentine’s Day that Ben and I had spent together so we decided to carry on my mom’s tradition and create for each other our own paper hearts. I am so thankful to have this tradition and I cannot wait until the day I can do this with my own family! Oh what a lovely family tradition Lauren. Also what a lovely way for you and Ben to honor your mom and your family as you begin your life together. Happy Valentines Day! This is such a beautiful tradition and I cannot wait to do this with my husband. I never thought of something like this but you have given me the inspiration! 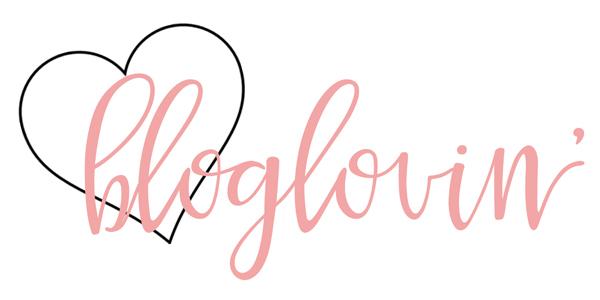 You are such a great blogger and I love reading all your posts! Keep being you because you are full of light & love! God bless! I love that tradition of writing on hearts. In reading lasts years you are one selfless and giving person. No wonder Ben loves you. 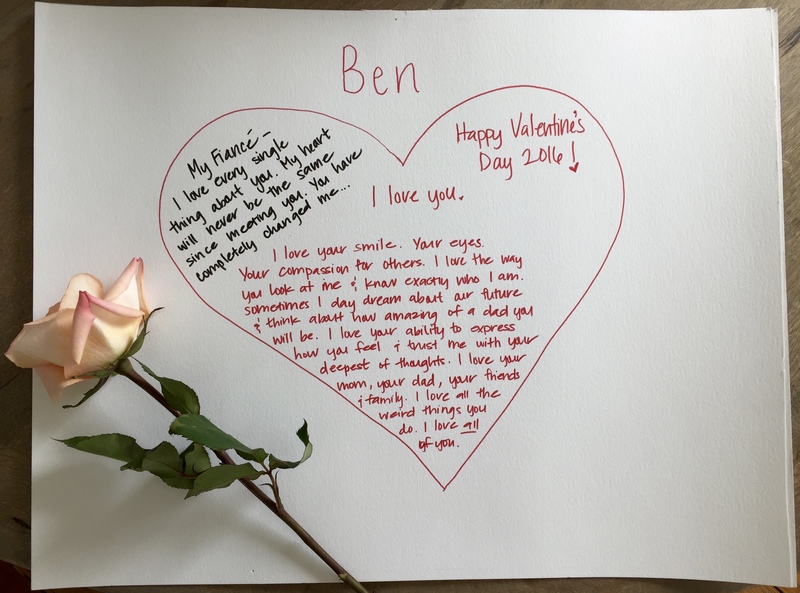 I wish you and Ben a loving Valentine’s Day. I hope you share this years hearts. What a sweet tradition to carry on. You are precious! I have 3 boys from 8-14. I can’t wait to do the paper hearts with them! (And my hubby of course:)). It should be a hoot! Love this idea! Awwww. This is so sweet. Will try this on vday. Thanks for sharing, Lauren! This is a touching tradition that will change the world if everyone do it. Thank you for sharing with us. Stay strong with your love for one another, you both are meant to be together. Really love the valentine feelings you have for each other. Wow. Thank you so much for sharing this! So much love and support for you two. What a great idea!! I may have to start this with my family. So happy for you and Ben. Keep working at your relationship as it is always worth it even though it isn’t always easy. This year I celebrate my 20th anniversary with my husband and we married at 27. We have 3 beautiful children and I wouldn’t trade my life for anything. So doing this. Thanks for this Lauren such a great tradition your mom started. This is a wonderful idea. I think I might adapt this to share what we appreciate in my fifth grade class. Thank you! Ok, tradition… Cute. But seeing the hearts made by you and Ben, so real, and raw. Love this post. This is such a cute tradition! When I have a family one day I definitely would love to start this. That’s a beautiful tradition!! I love that your family did that and u passed it on to Ben . The things u said about one another is beautiful!! You are such a beautiful couple who is honest and genuine ! I hope u share this tradition this year!! I love this idea. I’ve been married 35 years but it’s never too late for new traditions. I’m watching Happily Ever After right now and that’s what turned me to your blog! I absolutely love this post, you two are incredibly cute and I have no doubts that you both will truly have your Happily Ever After. What a great idea! I will definitely keep this in mind for the future when I have kids one day! Thanks for sharing! I don’t really understand why you’re posting this from a year ago. Where is the valentine’s 2017 stuff? Have you broken up? I actually posted this before Valentine’s day of this year so I didn’t have anything from 2017 as the occasion had not yet happened! OMG I love this Idea!! I so am going to do this especially when I have kids!! I love your family tradition! Too bad I learned about this just now. Next year, I’ll do it with my kids. Thanks for sharing this! i read this a couple times and feel sad that you and ben broke up. i can see from your pic on IG and pic from Ben IG your love is real, I really hope that you and ben can make it and back together again. give him a second change please.